In the article, the head of the french company wants to grow beyond two million units a year and sell more than 50 percent of their cars outside Europe. "Until we do that, I'm much more interested in cars that sell in hundreds of thousands, than those that sell in smaller numbers", Imparato said. To achieve that, the Peugeot will be venturing into the pickup truck segment with a new vehicle and also launch the upcoming 508 family sedan which is currently in development and will hit the market next year. Interestingly, Imparato also added that the next RCZ won't be an average sports car. He went on to explain that he wants the coupe to "take the Nordschleife lap record" and if Porsche could do it with their cars, so can Peugeot Sport. Damn wrong idea. 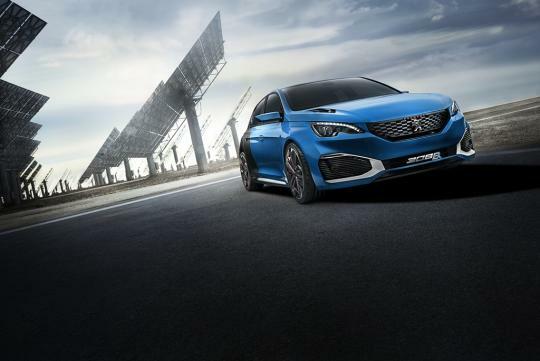 Peugeot needs performance cars to sell other cars in numbers. The 205GTI and 205T16, 504 coupé, 505 turbo were examples of what Peugeot used to do. French car makers gave up on making great engines and very reliable cars many years ago. 3 years of ownership of a 307CC gave me a taste of the worst engine and gearbox combination I ever had associated with dismal quality. Totally lame. Too bad because Peugeot's chassis are among the very best. Wake up Peugeot!